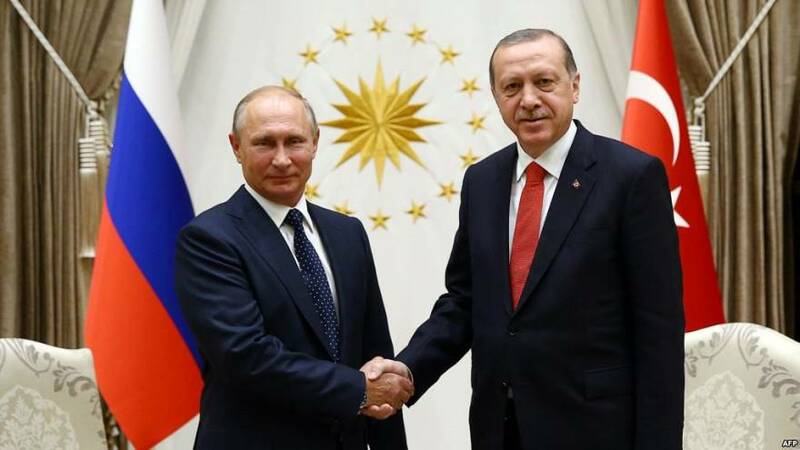 The Iraqi Kurdish vote for independence was slammed by Turkish President Recep Tayyip Erdogan as he hosted Russia’s Vladimir Putin in Ankara. Neighbouring Turkey fears the vote will inflame Kurdish separatist tension at home. Erdogan has already threatened economic sanctions and a military response against northern Iraq’s semi-autonomous Kurdish region, blasting the ballot as illegitimate. “During this sensitive period, the Iraqi Kurdish regional government must be prevented from making bigger mistakes. Both leaders said they would continue to work together to address the conflict in Syria, where they have supported opposing sides in the struggle between the Assad government and rebels. President Putin said the de facto conditions needed to end Syria’s civil war had now been achieved, paving the way for people to return to peaceful lives. “This is a principal issue, important not only for the Syrian people but for the world as a whole,” he told reporters. Russia, Turkey and Iran are cooperating on maintaining de-escalation zones in Syria. But opposition rescue workers there say Russian and Syrian jets have killed at least 150 civilians and injured dozens in a renewed bombing campaign of opposition-held parts of the northwest. Moscow insists it is attacking hard-line Islamist militants.